An excellent programme and introduction into Kids Term Course "Mandarin Nurturing Course". 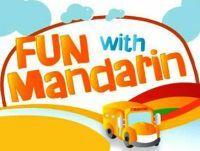 Our most popular holiday programme specially designed for children to learn Mandarin through an exciting and fun curriculum. This course focuses on the fundamental skills of learning Mandarin through observation and imitation, so students will develop greater interest and appreciation for the language. With activities that encourage interaction among peers and usage of different forms of expression, students will gain greater confidence and creativity in using the language. *Sign up with a friend to enjoy a 10% discount each.